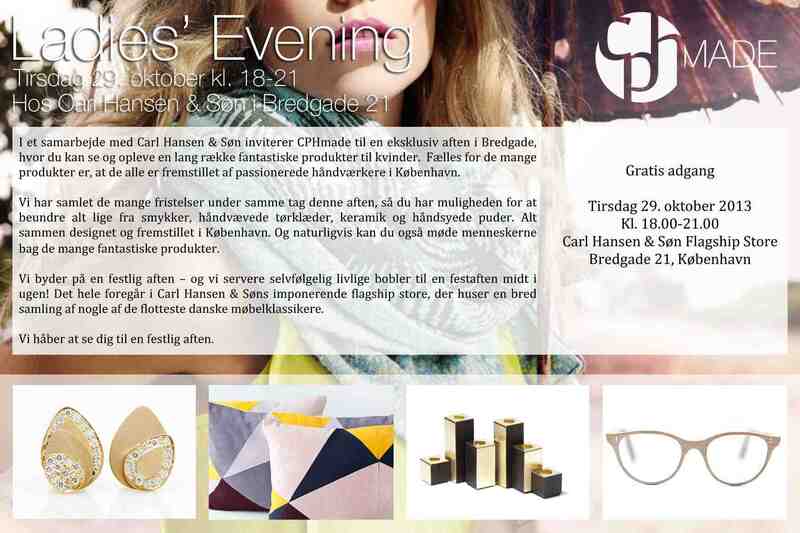 Ladies’ Evening d. 29 okt. from 6-9 pm. 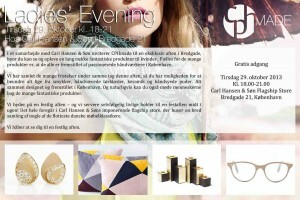 Come to Ladies’ Evening and see the amazing design’s that all are produced in Copenhagen. I will show my new jewellery collection and hopefully you can get some inspiration for christmas.